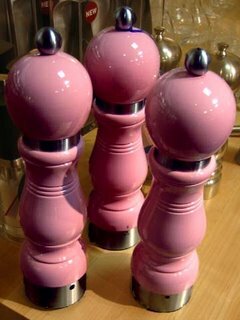 Leslie and I were in a Williams Sonoma store and came across these pink pepper mills. Leslie said "They remind me of cutesy-wootsey poodle kitsch." Price: $85 - marked down to $40 but the website doesn't have pink ones. Do they provide pink in Pasadena only? 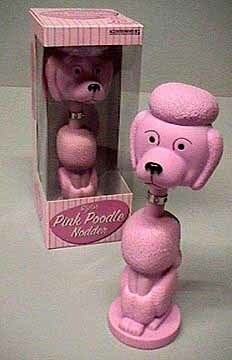 Here is some poodle kitsch. Not exactly what Leslie had in mind - but it does illustrate her point. Make Like a Tree and . . .
30 Second Spots - What Would Barbie Sing?